It is possible if you have followed the guide, that some CG's may still not be unlocked. In that case you have to repeat some events in the LOVE or WORKING section. More details are listed below. Use the same option for both parts. If you choose an answer, press again to continue with autoskipping. Start a new Game and select "NEW　WORLD"
Start a new Game and select "AFTER　STORY"
Start a new Game and select "WAKA　SAN　WORLD"
Start a new Game and select "GIRLS　PARTY"
Play the short story of each girl (Sawa, Mine and Rika) and select both answers. Start a new Game and select "Orion"
Once you finish the above, you will be missing only two trophys for voice activating CG's. There are 5 categories and there are a total of 8 pictures in each section you need to touch. Open the CG with ,otherwise you will not be able to hear the voices. Once you hear all voices your final Trophys will be unlocked. Now you have finished the Amnesia Later Story part. Make the same options setup as in the Amnesia - Later part. Start a new Game and select "SUSPENSE"
On the next screen search for the following text in the left corner. Now click on the right table. パソコン - on the middle table on the computer screen. On the next screen choose following numbers. The following Minigame is random. You have to find the right coin, to continue with the story. However, if you fail 3 times you will see a bad ending, which you also need to see. Now you have finished the suspense part. Start a new Game and select "WORKING"
In this part you must play Mini Games. To unlock all CG's in this section I recommend to play 5 times the same game and between the games always choose the same character of that game. e.g. play dish washing and choose the break time with shin (5 times). repeat with the other games and characters in the same way. You also have to get an excellent rating, which should be no problem here. The answers you pick between the games does not play a single role, choose whatever you want. After completing all 5 games with all characters, play a last playthrough choosing each game once and giving the break time to each character. Use + to clean the dishes. If you run out of soap, hit to fill up the bottle. On the right side is a picture of the cup you have to built. Try to keep in mind the food which is displayed in the correct order. Sum up the bills and pick the right result. If it helps you can pause the game with and put the numbers into a calculator. Bring the guests onto a table and take the order. You only have to put the right buttons which are shown in the speech bubble. You have to play with each character and bring the Love meter to max. Now we will play the quiz at first place. Now we will unlock all Mini-events. Choose the 2nd option until you have unlocked all Mini-events. Now select "speak with orion". Use this option multiple times until you will not see any new answers. (20+times) You can make quicksaves/loads for a faster choice selection. Play with all characters and win a round poker and a round Black Jack. Push the button to switch to the Mini-events. There are eleven events. You need to replay this events and choose all choices to unlock CG's. This is pretty simple. Each picture has 9 voices. If you found the first part, tab it 3 times (3 blue roses) and then continue with the next one (3 yellow roses). The last part is shown with red roses. Now there will be two hidden voices. In my case it was shin 1-4. You will notice it when it starts with red roses after tabbing. Some Cg's may still not be unlocked, although you have done everything right. in my case I was missing some from IKKI, UKYO and etc. - repeat the LOVE -> Communication part. For Completing the Cg´s for each Charackter you will earn these Trophys. Now, i think the guide is complete. Special thanks go the crystalphoenix for testing the guide and find out the "RIGHT" english words. So is this guide complete? If so, I'll make a banner for it and you should alert RD or another Admin to make a forum for it! So is this guide complete? No isn't complete. Until now this is only for amnesia Later. That's one of two parts of the game. The other part is amnesia crowd. I see, I see. My apologies! I have the game so I will test this out tonight. I can also test it, too. Guide looks great, Ape Exodus! Guide worked perfectly, thanks Ape. Troubleshooting part for missing CG's was definitely required but worked as written, in my case only needed to run ikki love after story 4 times. How do you know if you have given a correct answer in the quiz ? I am at the quiz as well, not sure how you tell if you have a right answer. Great guide, and Ukyo has a hidden CG for the last one on the LOVE / Communication section with 3 additional event locations. Afterwards, I was missing a CG for the "etc." section on 1-5 & 1-6. 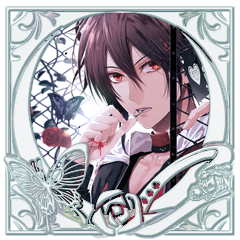 However, once you get all CGs for all 5 characters, then 1-5 will unlock. 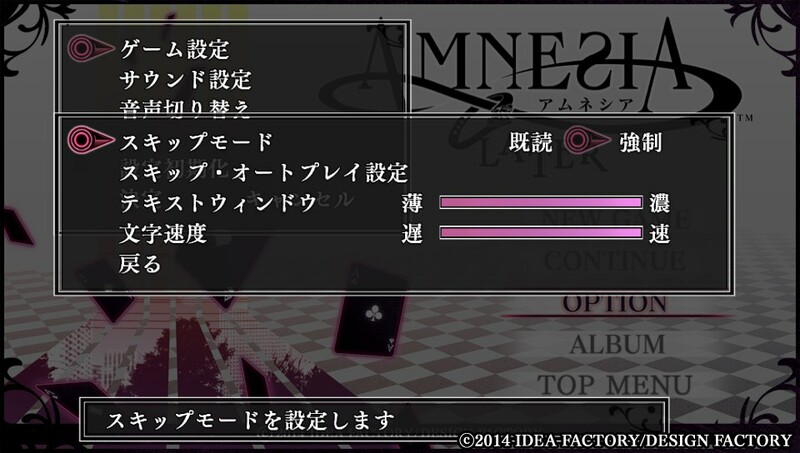 And, once you got all voices from the CGs, then 1-6 will unlock, too. If you are skipping, Orion will smile if you got the answer right. If you are not skipping, there will be a ringer sound when the answer is correct.